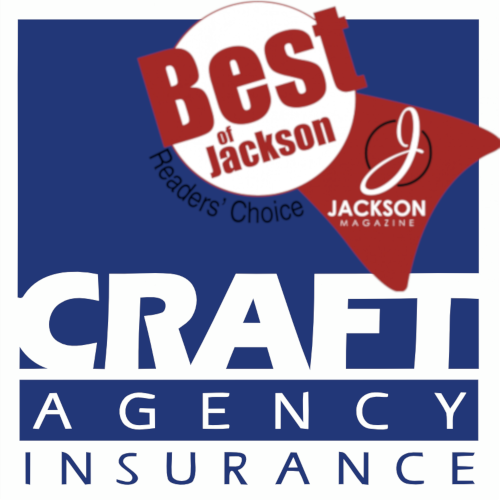 Hear it from our clients | The Craft Agency, Inc.
"I just want to let you know that you are phenomenal, like the best insurance agent ever!" "WOW, that is wonderful. I sure appreciate you helping us save money. I was with another company for years and they never helped save us money at ALL. They were always raising the rates and trying to find other things to get us to sign up for." "I really appreciate the fact that you keep in contact with me and have done everything possible to help us. I appreciate how quick you have always gotten back with me when I have questions or any concerns. It is great doing business with someone who really cares about their customers, you don’t get that very much anymore." "You are still my 1%er by continuing to provide and deliver exceptional service to me. If the other 99% of businesses I pay delivered half of your conscientiousness my life would be a lot easier." "THANKS AGAIN for all of efforts in trying to sort this out. You treat me like I’m your only customer and I’m not even a large customer." "When it comes to my company's liability, I trust God, and Craft Agency, to assist me in making my annual decision." "The reason I chose to place my business insurance with Aaron Vorce and The Craft Agency, Inc, is because when I called Aaron, he responded quickly. We met and thoroughly discussed my business and how to protect it. With Craft's carrier selection, I was able to get more coverage than I've ever had and for a better price than I was paying before. The quote turnaround time was outstanding, and the customer service has been perfect. I'd highly recommend Aaron and The Craft Agency to any campground owner." "Our club is extremely pleased at the savings from the Craft Agency's Rod & Gun Club Insurance Program! Not only were we able to combine 4 policies into ONE, we saved over $6,000 in the process! The Craft Agency spent the time to assess our needs and really impressed us." "Ted Wray has made it his business to know our business...his personal service helps keep me informed of important matters and coverage which impact a growing food company like mine. I strongly recommend others to seek Ted's advice."